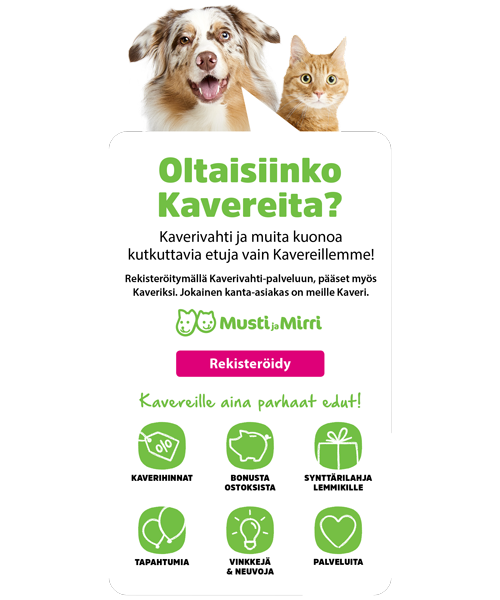 I've had some great experiences pet-sitting here in Helsinki, and I will be very happy to take care of your pet! I have had dogs of different breeds and sizes, cats and even some smaller animals, so no task is too difficult. I live in a nice green neighborhood with a couple of dog playgrounds within a few minutes' walk from my house, and my schedule is pretty flexible so I can accommodate your needs whether you need a short home visit or a daycare service. I pride myself on being very respectful of animals' personalities - every animal, like every human, is an individual, and I enjoy getting to know them! I know you are worried about your furry friend when you're away, so I keep in touch with owners throughout the stays and am always happy to snap a few pics for you. And don't just take my word for it - feel free to ask me for references! Everything went perfect. Olga took care of the cat, fed her and clean litter. She kept me informed when away. I am relying again in Olga for future. Olga was wonderful, and took very good care of our two cats over three days (home visits). She kept us informed, replied to messages quickly and was very friendly about any requests/questions. We will definitely be relying on Olga in the future for caring for our cats while we're on holiday! Olga took care of my medium/large sized shephard on Saturday during the day as try out and then for 2 days during my work trip. Olga was very flexible when I had to change our agreed times. She replies fast to messages, she's a very nice person and treated my dog very well. She was able to handle him well on walks even tho he's not always behaving well. I got him home today, he seems happy and tired. I will definitely use Olga every time I need a doggysitter. Olga was an excellent petsitter and everything went really smoothly. She was very attentive to the cats during her visits, and immediately checked with me if she noticed something that might be a problem. Will definitely ask Olga to look after my cats again! Olga took care of my cat for over a week during my holiday. I contacted Olga at very short notice, but she was able to arrange time to take care of my cat. Olga was professional and did everything as we agreed. She visited my cat every day (home visits) and even spent a few nights with her. Everything went smoothly the whole time. Olga kept me informed and replied quickly when I messaged her. I will contact Olga in the future whenever I need a catsitter. Amazing! I was able to leave my cats with a full peace of mind knowing my furry babies are in good, loving and caring hands. Olga was a perfect pet sitter. She was very attentive to the cat during her visit. She sent us all the information about the cat and pictures with him. When we came back, the cat looked happy and calm. I'm definitely sure, I'll ask Olga for looking after my cat again!